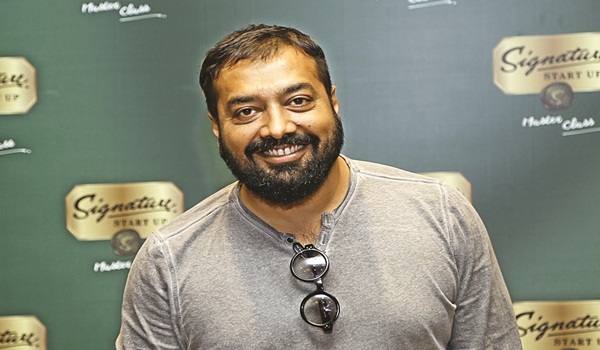 As Anurag Kashyap readies us for yet another dark film, he tells us what motivates his a�?kind of storiesa�? WITH Raman Raghav 2.0, Anurag Kashyap is back to doing what he does besta��shooting dark and realistic stories, guerrilla style, on a tight budget. His last outing wasA�expensive, yet the Rs 84 crore-worth Bombay VelvetA�didna��t score at the box office. The filmmaker-actor shot his latest feature in Mumbai,A�in 20 daysA�flat, and wrote 220 scenes instead of the 70 (that make up an average Hindi film) to make it a�?look biga�?. The formula is working. The soon-to-be-released film, inspired by the life of serial killer Raman Raghav in mid-1960s Mumbai, got a standing ovation at Cannes last month.A�We caught up withA�the Dev DA�director in Bengaluru recently,A�for the Signature Start Up Masterclass, which celebrates stories of success.A�Kashyap talked about his journey so fara��fromA�making BlackA�Friday, Gulaal and Gangs of Wasseypur, to, yes, his unreleasedA�Paanch. Kashyap admits that a lot of theA�training, and even motivationA�to make avant-garde movies, cameA�from world cinema.A�Especially Vittoria De Sicaa��s masterpiece from the Italian Neorealism era, Bicycle Thieves. a�?Watching it, I was reminded of the days of Emergency. I was five or six then. My father had stopped shaving, and we had never seen him like that. We later learnt he was on strike. Also, my name was changed. I became Anurag Kashyap from Rinku Singh. Nobody wanted to be identified as a Singh then,a�? he recollects.A�In fact, had it not been for the 1948 Italian filma��and 54 other gems from theA�International Film Festival of IndiaA�in 1993 thatA�he ended up watchingA�in 11 daysa��Kashyap would have been a zoologist!Raman Raghav 2.0 releases on June 24. 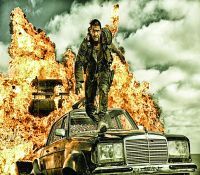 In the past, the 43-year-old has candidly spoken about his fixation with Tamil films, and how they took him a�?back to his rootsa�?. Balaa��sA�Sethu and Thiagarajan Kumararajaa��s Aaranya Kaandam are his favourites. a�?There is amazing work happening in regional cinema,a�? he tells us, citing the examples of TamilA�Visaranai, KannadaA�Thithi, MalayalamA�Kammattipadam, MarathiA�SairaatA�and Court, in a single breath. He singles out Gurvinder Singh and his Punjabi films,A�Anhe Ghore Da Daan andA�Chauthi KootA�. a�?Barring him, the others havena��t made their a�?greata�� second films,a�? he explains. For a long time, Kashyap used to take notes from world cinema. a�?I have sadly stopped doing that,a�? he admits. Nonetheless, every month he buys online movies from all corners of the world. When we ask him to share his five favourites, he struggles, as a�?there are far too manya�?, and then decides to settle for a few recent titles. a�?I cana��t explain why I like a particular film. For me, ita��s about the whole experience (story, camera, pace). If one technique used in a film catches my attention for too long, then thata��s actually a problem,a�? he quips. A� Mad Max: Fury Road (2015): Somehow I feel the film wasna��t given its rightful place. People treated it as a mainstream movie, a massive spectacle. But ita��s a unique vision, of a world where water is the biggest currency, and it could have come out only from the mind of a creator like George Miller. We are heading in that direction, arena��t we? Mommy:A� Ita��s a story about a widowed mother and her son who suffers from ADHD (Attention Deficit Hyperactivity Disorder). This Canadian film creates two beautiful characters, and will make you cry when you least expect it. Also notice the camera work; ita��s shot in an Instagram video format. Victoria: This German film (about a Spanish girl named Victoria) starts in the night and ends in morning, and ita��s shot in one long, continuous take by its cameraman (Sturla Brandth Grovlen). It begins at a club, travels to the street, goes inside a restaurant, gets into a taxi, an apartment, and into a bank. And therea��s a bank robbery, a police shootout and a chase sequence, too. The Major: Ita��s about a Russian cop who mows down a young boy with his car. Then he and his colleagues try to cover up this freak accident, but the situation spirals out of control. For me, this Russian film is a package. It just keeps you in there. 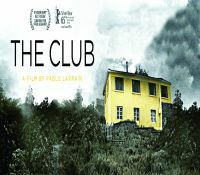 The Club: Ita��s about four Catholic priests in exile, who have a history of crimes like child abuse. And one man decides to shut down this exile home. He turns out to be one of the many children they had abused. This Chilean production is so gripping.